Be more efficient and keep your identity safer by recalibrating your Fellowes shredder. Being able to shred the necessary items and not having to hassle with paper jams can save time and frustration. As shredders are used the cutters in the shredder head my dull, causing more paper jams. The sensor that detects the paper will also wear down, allowing less sheets of paper to be shredded at a time. Unplug the shredder and remove the media safety guide by bending it until it pops off the shredder head. Use your fingers to pull the center of the media safety guide cover until it pops out. 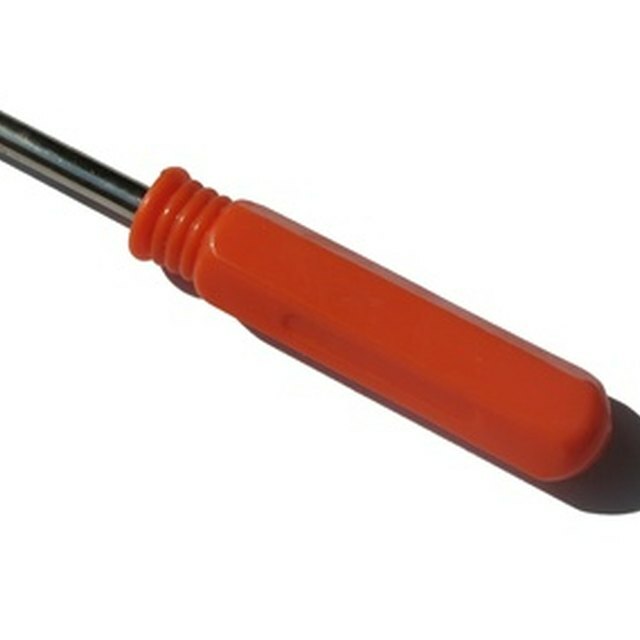 If your fingers cannot loosen the guide use a flat-head screwdriver to pop it out. Unscrew the two Phillips head screws with a Phillips head screwdriver and open the shredder throat opening to expose the sensors. Wrap a moist cloth around your finger and carefully wipe the dust off the sensor. Remove any excess dust and debris from the shredder throat opening. Place the two screws back in and angle back the throat opening cover to block the sensors. Place the media safety guide back in its original place and pop it back into the shredder opening. Plug the shredder back into the wall outlet and shred a sheet of paper to ensure the sensor is working correctly. Oil the shredder cutters using vegetable based oil or shredder oil. Corn or canola oil in a non-aerosol container can be sprayed into the cutter area through the top of the shredder head. Attach an extension nozzle to the spray to make it easier to directly spray the cutters. Press and hold the reverse button while using the spray can with extension nozzle to evenly spray the cutters. After one or two sweeps switch to the auto possession and run the blades for three seconds. Run the shredder for three seconds in the reverse position and rotate with the auto position about four or five times. Oil your shredder every four months. Never use petroleum-based oil on your shredder as it can cause combustion and serious injury. Do not use an abrasive cloth on the sensor to avoid damage,. Never use petroleum-based oil on your shredder as it can cause combustion and serious injury. Do not use an abrasive cloth on the sensor to avoid damage,. Orlando Bogue has been writing blogs and poetry since 2008. He has written articles for various websites and is a graduate of Indian River State College with a degree in business administration.